Thursday, September 13, 7:30 p.m. \ Don't miss opener Kristin Orphan at 7:00 p.m. The longest running act in Muck history! 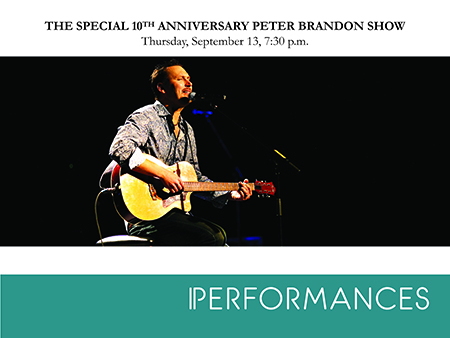 We will be taking the evening to celebrate and thank Fullerton’s own Peter Brandon before what we expect will be his tenth consecutive sold out performance.